East Texas- The knowledge that summer is gone and winter is coming is everywhere now, on the northern half of Earth’s globe. If you live in the Northern Hemisphere, you can easily notice the later dawns and earlier sunsets. The shorter days are bringing cooler weather, a chill is in the air, people have stopped wearing white and wild things are putting on their winter coats. Fall 2012 begins tomorrow, September 22, 10:49 A.M. EDT in the Northern Hemisphere. When it comes to those beautiful vibrant fall colors there are two important factors that will determine the intensity of the color show. How much rain an area has had, and how early the first frost appears. The ideal scenario for bright fall colors is getting enough rain during the summer months, then a dry start to the fall with an early cold snap. It breaks down the chlorophyll which gives the leaves their bright green color, thus making way for reds, oranges, and purples to explode. 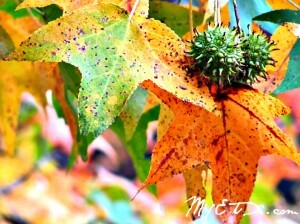 It isn’t necessary to travel to New England to see the glorious colors of fall! 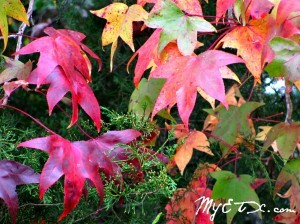 Leaves on Sweet Gums become orange, maple leaves turn a magnificent shade of red, and oak leaves turn a delicate yellow. These colors appear as a silent explosion against the dark evergreen pines of East Texas. The effect is startling, and beautiful. 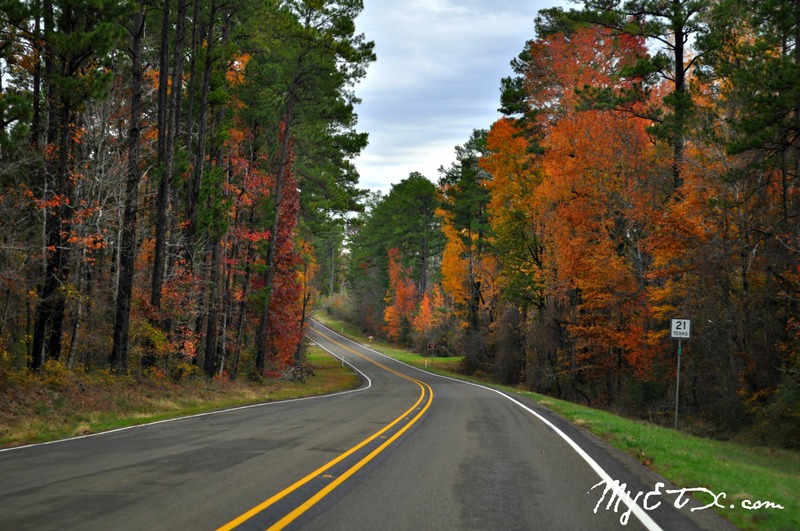 Autumn is an excellent time for a road trip in East Texas. As the Pineywoods begin to explode with color our team will be out on the road looking for the best fall foliage scenic routes. 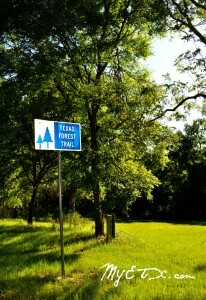 Stay tuned to MYETX.com to find out which routes in East Texas have the best photographic opportunities and breath taking views. ATHENS – Preparations are under way for the annual Fourth of July fireworks show at the Texas Freshwater Fisheries Center (TFFC). The show will last approximately one-half hour and is one of the biggest in East Texas. NACOGDOCHES, Texas –– Beginning Thursday, April 18, in a seven-day competition, the general public can vote daily on-line for the best-liked photograph among the qualified 300+ images submitted to the Texas Forest Trail Region’s 2013 Photo Contest. The photographer of the Fan Favorite winner receives a cash prize ($100) and the distinction of being the 2013 Fan Favorite.